Dr. Mohamed Khayet Souhaimi (University Complutense of Madrid, Spain). The prize is awarded to Dr. Khayet for his work in pioneering and promoting membrane distillation for water recovery using alternative renewable energy sources. 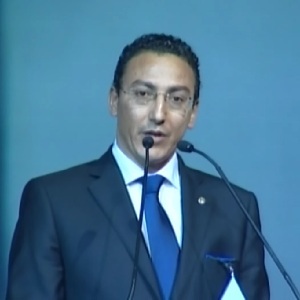 Dr. Khayet is at the forefront of promoting membrane distillation, a process that is relevant both for water recovery from alternative sources (not only seawater but also concentrates from industrial production) as well as for energy-friendly separation processes (membrane distillation can be used with waste heat, for example). His work is not only novel, but also very creative and even visionary since he was one of the pioneers in this process that has now gained worldwide interest. The practicality and implementation value of Dr. Khayet’s research is equally high. The process that he has studied and promoted in all its theoretical and experimental aspects (from membrane synthesis to implementation) has now been scaled up and is being used for large-scale applications in Singapore and elsewhere. In many other countries, plans for using this or related processes are mushrooming. 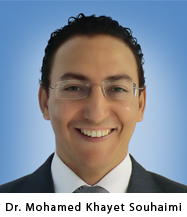 Dr. Mohamed Khayet Souhaimi is Professor of Thermodynamics, Statistical Physics, General Physics, Renewable Energy Applications, and Thermodynamics of Biological Systems as well as the Director of the Membranes and Renewable Energy Research Group at the University Complutense of Madrid, Spain. • Ph.D. 1997; University Complutense of Madrid, Physics. • B.Sc. 1990; University Cadi Ayyad, Physics. Your Royal Highness Crown Prince Salman Bin Abdulaziz Al Saud, Your Royal Highness prince Khaled bin Sultan Bin Abdulaziz, your Excellencies, distinguished scientists, ladies and gentlemen. I am deeply honoured to be here today to accept the 5th biennial Prince Sultan bin Abdulaziz International Prize for Water’s Alternative Water Resources Prize. It is with great pleasure and gratitude that I accept this prize, especially since I am the first Spanish and Moroccan scientist to receive this prestigious international award in this category. I am therefore receiving this prize on behalf of all Spanish and Moroccan scientists. I am even more proud to receive this recognition in the Kingdom of Saudi Arabia and in your Highness´ presence. The topic of the prize is for pioneering and promoting membrane distillation (MD) processes for water recovery using alternative renewable energy sources. This non-isothermal emerging process exhibits various advantages, such as the production of high purity water, the treatment of very high salinity waters (for example brines produced from various desalination technologies with special focus to the “zero-discharge concept”) and the treatment of radioactive wastewaters. And yes, your Royal Highness, my dream and that of various scientists in the field, has finally come true. In fact, Membrane distillation (MD) has now reached its industrial scale and it is still improving through the adequate design of new generation membranes, as well as highly energy efficient and optimized modules. It is my hope that this international award will encourage companies and institutions to invest in this environmentally friendly process, which is known as membrane distillation (MD). We are only at the beginning of our path. Innovative and advanced processes for water treatment are still needed. Although my concern on water scarcity dates back to Marrakech (Morocco), my research in the field of water, in general, and membrane distillation (MD), in particular, began in 1992 when I was performing my doctoral studies at the University Complutense of Madrid (Spain), to whom I deeply appreciate their continued help and support. I would also like to take this opportunity to thank the University Caddi Ayyad in Marrakech (Morocco) for having taught me the first steps in Science. Special thanks go to the Industrial Membrane Research Institute in Ottawa (Canada), where I realized my postdoctoral visits and to its director at the time, Prof. Takeshi Matsuura, who taught me the art of making membranes. It is an extraordinary privilege to closely work with him in the growing research area of Membrane Science and Technology. This noble recognition acknowledges the outstanding innovative research studies of numerous friends and colleagues’ scientists around the world who collaborate with me conscientiously in the field of membrane distillation (MD), especially members of my research group “Membranes and Renewable Energy”, which is affiliated to Campus Moncloa of International Excellence in Madrid. Without the financial support of various national and international institutions through funded projects this recognition would not have been possible. This extraordinary award is dedicated to my Moroccan and Spanish families. My sincere gratitude goes also to them for their incessant and unconditional support in all my activities and for their encouragement, advice and contributions to my professional success. Finally, I would like to express my gratitude to the selection committee, to the organizers of this event, the Prince Sultan Institue for Environmental. Water and Desert Research, King Saud University, and in particular to the memory of his Royal Highness, Prince Sultan Bin Abdulaziz Al Saud for the creation of this International Prize for Water and the related commitments encouraging water research and innovation. Congratulations to all past and present winners of this award. Thank you. 1. Mohamed Khayet, T. Matsuura. Membrane Distillation: Principle and Applications. Amsterdam: Elsevier, 2011. ISBN: 978-0-444-53126-1. 2. Mohamed Khayet Souhaimi, Maria del Carmen Garcia-Payo. “Nano-Structured flat membranes for direct contact membrane distillation”. patent: 29 September 2011. International patent number: WO 2011/117443 A1. 3. M. Khayet, C. Cojocaru. “Artificial neural network modeling and optimization of desalination by air gap membrane distillation”. Separation and Purification Technology, vol. 86 (2012), pp. 171-182. 4. M. Khayet, C. Cojocaru, M.C. Garcia-Payo. “Experimental design and optimization of asymmetric flat-sheet membranes prepared for direct contact membrane distillation”. Journal of Membrane Science, vol. 351 (2010), pp. 234-245. 5. M. Khayet. “Membranes and theoretical modeling of membrane distillation: A review”. Advances in Colloid and Interface Science, vol. 164 (2011), pp. 56-88.